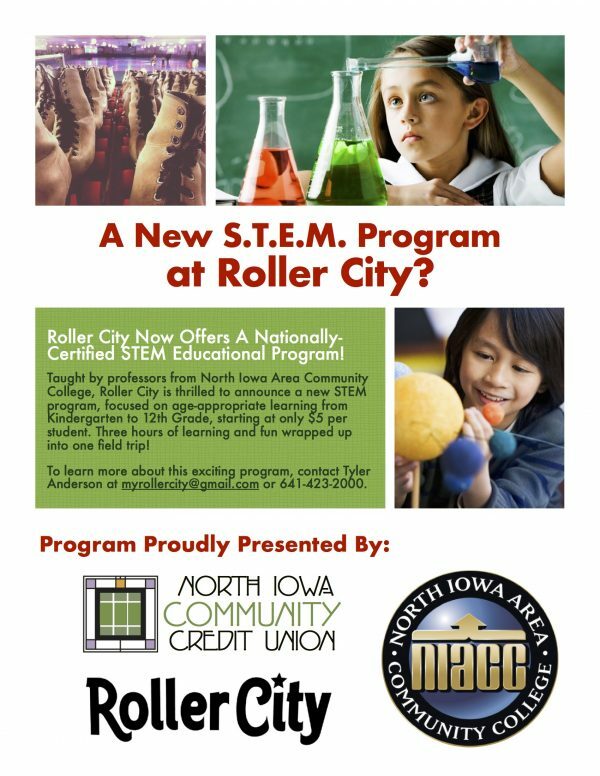 Thank you for your interest in Roller City’s STEM Program and Mobile Skating Program! Roller City believes in providing fun, simple roller skating solutions for area school and other groups. Aside from providing private and public session parties for your group, Roller City is excited to offer other options to continue to serve your group, including a nationally-certified STEM program and mobile roller skating program. If you’re not able to come to Roller City, we’d love the opportunity to bring the fun to you! How does our mobile roller skating program work? We load up 90-100 pair of roller skates and drop them off at area schools for 2-3 weeks for use in PE class. The cost to use our program for the entire school costs less than a single grade going on a field trip! What if my PE teacher isn’t good at roller skating? We provide a variety of helpful training videos, as well as bring along two roller skate teachers to help the PE teacher during their first few classes using the roller skates. Do the roller skates scratch up the gym floor? The roller skates provided in our program are equipped with indoor wheels and toe stops, which will not scratch or scuff up any gym floor, whether the floor is wood, concrete, or composite. Is roller skating safe? Roller skating is twice as safe as playing on a playground, four times safer than basketball, and five times safer than riding a bike. Roller skating causes 50% less stress to body joints than running, and is considered a lifelong activity. We currently have a 78 year old skate guard at Roller City that skates 12 hours a weekend! Roller City is committed to promoting current and future wellness of children everywhere through fun activities like roller skating. Roller skating is a life-long sport that provides a safe workout, as well as a social experience for all ages. We sincerely hope that our program will be a success at your school or event. Ready to book a STEM event or bring our roller skates to your facility? Contact us at myrollercity@gmail.com or 641-423-2000 to learn more! We look forward to serving your group in the near future! Roller Skating Drills And Games!